In late 2004 I looked for an activity at home to keep me busy during times when I would not be able to fly. Joan had started to take helicopter lessons and outside at the airport it was too cold to work at the unheated hangar on the Kitfox, which of course asked for some maintenance here and there. 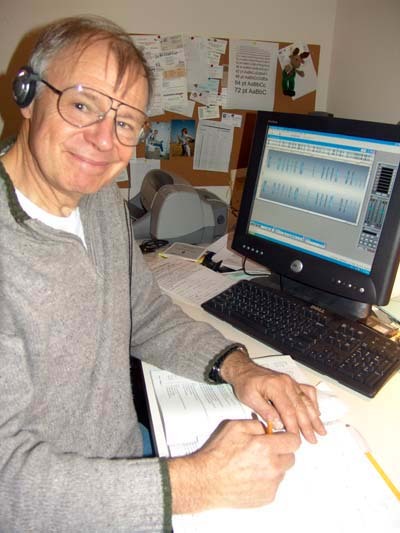 Amateur Radio or HAM Radio as some call it had been on my list of future interests. So why not !! I got the necessary books and CD and started to pile the rules and regulations into my head. I was delighted that I could refresh some of my math skills that had been dormant since my University times. For the Technician License, the first test did not need the Morse or Code skill. However, why not get it all done while I am at it? After all, in my teen years I had been pretty good at it. Now, what I could remember? So I started to train my brain to work faster and faster on that search routine to recognize the letters out of the stream of dots and dashes or "DITs" and "DAHs". At some moments I felt like my head was going to explode and the steady stream of signals was more perceived as a torrential rain soaking all my senses. To get the feel for what I was getting into, I decided to take the first two exams after about a month of studying. They were given by the local Radio Amateur Club once a month. I found out that it was a very nice group of enthusiasts that happily encouraged you to come along and take part in the fun this activity is offering. I passed the two written entry tests and thus was proudly issued my official call sign. Encouraged by the success I kept working on the next two tests, one of them being the Morse Code which I had to pass demonstrating the ability to copy at a speed of 5 words per minute. Every free minute I sat down and listened to test transmissions. AA9PW offered, for my taste, a very good entry program. However I found it very difficult to advance from 3 to 5 words a minute and especially when introducing the punctuations and extra signs besides the normal letters and numbers. I tried to develop all sorts of helps to span this bridge. An old HAM from our aviation electronics shop encouraged me to keep working. It is all a question of time. There are no short cuts. The brain just has to transition from the "recognition on demand" to the "automatic" search and recognition routine. Well, shortly before our departure to Switzerland I took those last two exams and to my own surprise, I PASSED ! With the FCC license as an Extra Class Radio Amateur in my pocket Joan and I flew to Switzerland for a brief stop before going on to Australia. Immediately I submitted my US license to the Swiss government and to my great surprise I shortly thereafter was issued my Swiss license with the call sign HB9TTI. The next step was to go online and check whether there was a US call sign with similar lettering available. As luck had it, I found KB9TTI available. Through the Vanity call sign change program it was an easy task to change the originally issued US call sign to the new one I selected - KB9TTI. The next step after returning to the US ending our long trip through Western Australia, was to put up an antenna. 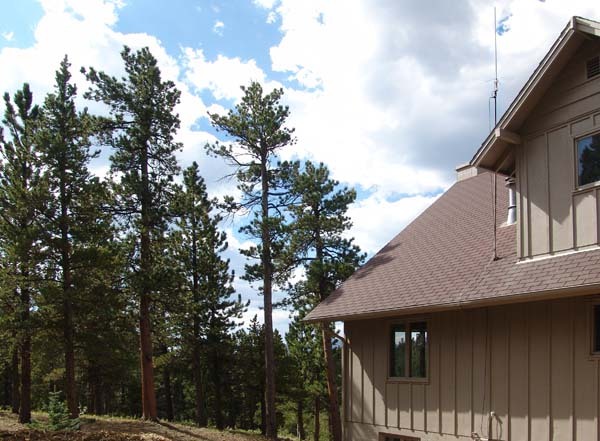 Our house in the mountains at the foot of Longs Peak had an old TV antenna on the roof. As we had changed to a dish antenna several years ago, this relic from last century was just waiting to be removed. Using my cattle rope as safety line, I performed the exchange in no time and had the Diamond X-50A 2m / 70cm antenna sticking into the wind. 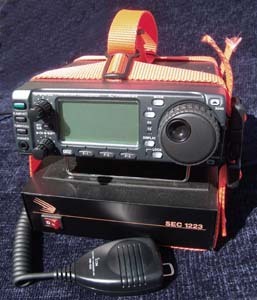 All that was now needed was a transceiver. It was interesting to do the research on the Internet, in the magazines and by talking to other Amateur Radio guys. The final step was a trip to the Ham Radio Outlet in downtown Denver. There were the experts who had the feel of the market and I felt happy when I finally walked out of the shop with an ICOM IC-706MK IIG. Unpacking my IC-706 was one thing, but studying and applying the operating instructions was another. There are so many features and possibilities of settings, that it took me a while, but not without help from Bob (W0LMA). As I intended to move to various locations I decided to bundle the IC-706 together with the power supply using nice little straps. 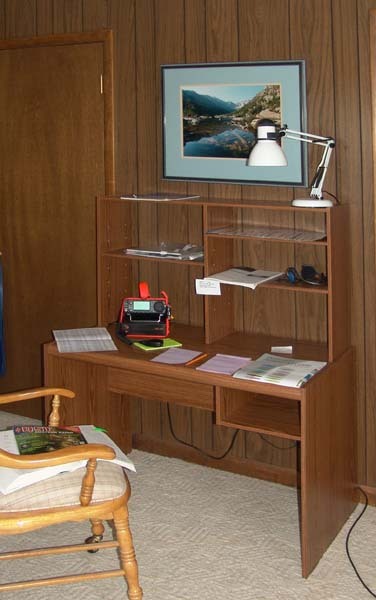 In addition we happened to stumble across a neat little desk that served as a starting point for the communication area in our house. On a quiet evening I tried my first contact. Surprisingly, I found excellent reception and communication to the south and southwest on the 2 meter repeater connections. Living at 9000 ft, close to Allenspark, Colorado, definitely had its advantages. Tapping into the vast knowledge of our new friends, Ellie and Rip (NVØM), I am already planning to make use of those natural towers around the house and install a dipole to allow some work on the 60 to 10 meter bands. This will give me the opportunity to improve my CW code skill, which at the moment is close to not really existent. 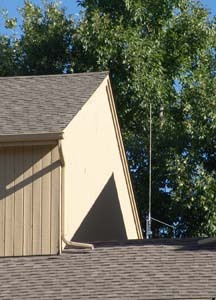 Next episode on my learning curve was the installation of an antenna at our Boulder residence. While up in the mountains no one was judging my choice of type and location of antennas, but here in our tightly controlled environment, anyone who loves a challenge, bickers about any changes made in our small neighborhood. The Architectural Committee then serves as the amplifier, the last stage before the burp is broadcasted. 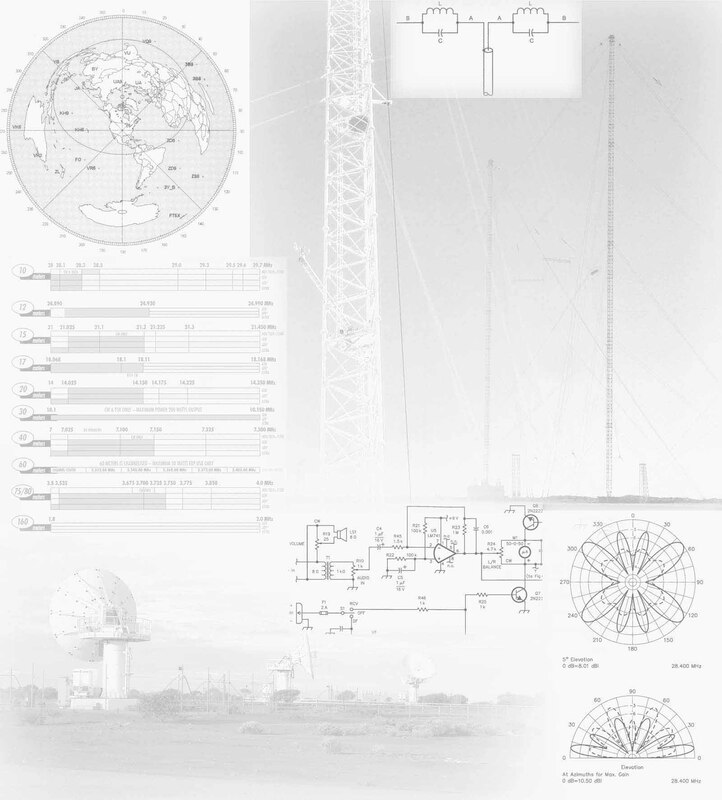 Already in spring, anticipating ample time of assessing and digesting, I had unofficially circulated some photo collages on possible antenna sizes and mountings. Now in summer I was kindly informed, that with all the liberation of free choice of communication, they, the Committee, would refrain from requesting a project submission. HOWEVER, the large 24 ft antenna would be out of the question and a small variety would have to be hidden behind part of the wooden front structure holding the chimneys. 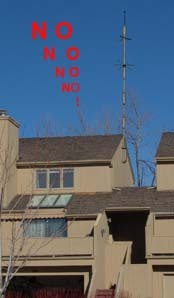 I could not accept this, as the antenna I had chosen was taller than the structure and the antenna feed would have been excessively long. I told them I would study the proposition. Reviewing the situation I decided to work on reducing the visibility and started to spray paint the Diamond X-200A antenna in a camouflage pattern. Then I would try to use the branches of the lush trees in the back of the house to conceal the appearance. Also at that location, the distance to my shack in the basement would be much shorter. As the chief of the committee stopped by some time later, I was surprised that he was happy with the solution. I have the suspicion that he had anticipated major complications with this project. So, now I have my station down in the valley in the midst of the city as well. The handy little IC-706 accompanies me on my periodic migration.